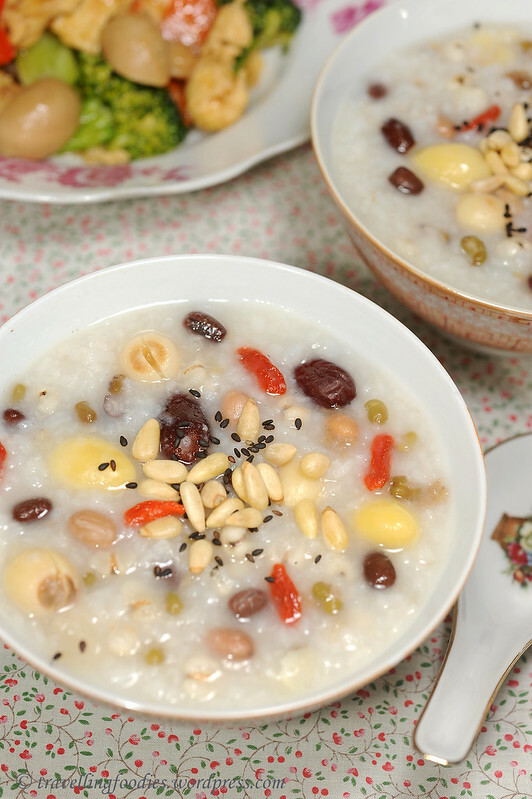 八宝粥, literally to mean “Eight Treasures Porridge” is a traditional congee concoction enjoyed on 腊月初八 the 8th day of the 12th month in the Chinese Lunar Calendar, hence giving rise to its other name, 腊八粥. Having it roots in Buddhism, the history of this dish can be traced back more than 2200 years back to the Han dynasty when it was generally used as part of prayer offerings and not consumed. Interestingly during the Song dynasty more than 800 years ago , the folks then began enjoying this porridge for themselves, causing it to evolve and change to reflect the culinary characteristics of each period in history, as well as in accordance to personal taste and liking.